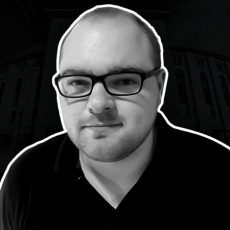 The major league offseason is almost over, and while a large contingent of Yankees fans and supporters have already deemed this winter as an unmitigated disaster since neither Manny Machado nor Bryce Harper are expected to wear pinstripes in 2019, it appears the franchise has finished reshaping its roster. Of course, the Yankees’ plans could still change in the next few weeks. Several big-ticket free agents — including Machado and Harper — remain available on the market. 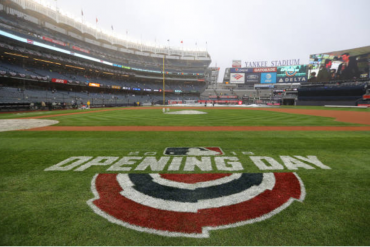 But, in all likelihood, New York’s roster is set heading into spring training, which officially begins for them on February 14 in Tampa, Florida. So, with that in mind, here’s how Steamer (a baseball statistics system affiliated with FanGraphs) projects the Yankees starting lineup will perform this upcoming season. Side note: Projections aren’t predictions. These calculations factor in variables such as career performance, and age curve. By no means is this an exact science. Again, they’re projections. The Skinny: Hicks’ overall production in the outfield and from both sides of the plate has made him an everyday center fielder at the big league level. And the 28-year-old’s value continues to rise, as his 27 home runs, 79 RBI, 18 doubles, and 90 walks were all career-highs. Hicks gets on base at a high clip, and his season WAR of 4.7 ranks second only to Aaron Judge (5.5), who played in 25 less games. With his arm, fielding range, and newly established power, Hicks would have a starting role with any major league club. The question is, do the Yankees want to keep him around? Hicks is eligible for free agency next winter. The Skinny: Judge wasn’t able to showcase his abilities throughout the entire 2018 season, as a chip fracture in his right wrist forced him to miss nearly a month and a half of action last summer. 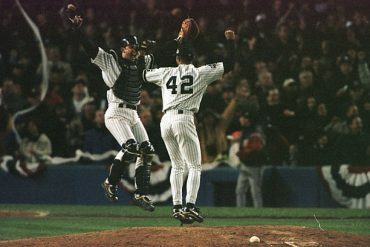 But when he was on the field, he was undoubtedly the Yankees’ most talented player. Judge also stepped up in the postseason once again, hitting .421 with three home runs and four RBI in 19 October at-bats. At 27, he’s an old youngster, but in theory, Judge’s prime years are still ahead of him. 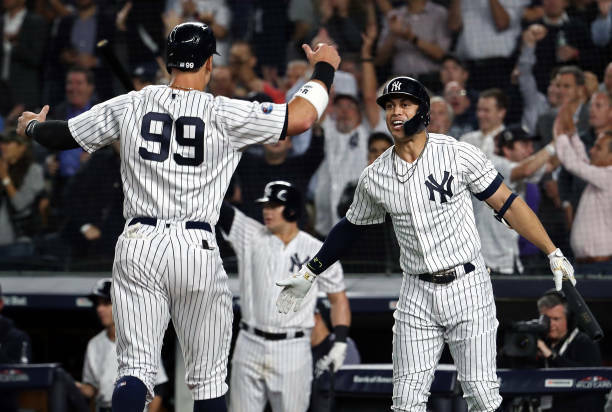 The Skinny: Stanton is a star player who experiences extremely hot and cold streaks, so his growing pains and mood swings from April to October of last year shouldn’t have come as a shock to the Yankees. Take some solace in the fact that this was a down-year to Stanton’s MVP standards, as he “only” led the Yankees with 38 homers and 100 RBI. Also, don’t forget that he carried the offense while Judge was on the disabled list. With a full year of New York baseball under his belt, Stanton should be ready to take his game to the next level in 2019. He’s now familiar with the pressure and atmosphere. Still, overall, his 2018 numbers were strong. The Skinny: Andujar, the AL Rookie of the Year runner-up, had a special season at the plate. He was arguably the Yankees’ most consistent hitter in 2018. But Andujar isn’t a complete player yet. His defense at third base was poor overall, and based on his work-in-progress range and footwork at the position, it seems like Andujar could offer more to the Yankees at a different position. Perhaps the outfield? Well, since the Yankees don’t appear to be interested in Manny Machado, count on Andujar remaining at third base. In fairness to Andujar, he does have plenty of upside. And his at-bats were must-see TV at times. 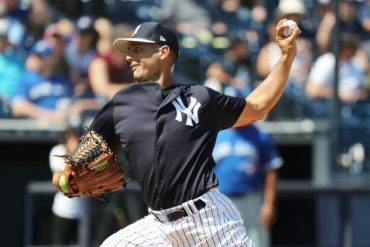 The Skinny: 2018 was a lost season for Sanchez. Not only was he hampered by injuries, but he also hit a measly .186 and allowed a major league-high 18 passed balls in less than 100 games. All-around, a year to forget. But it’s still too early to give up on Sanchez. At 25, he’s arguably the best hitting catcher in the game, and his 2016 and 2017 numbers say he’s not a Mendoza Line talent. Perhaps his hitting slump affected his defense. The good news is that his play behind the plate wasn’t an issue in five playoff games last year. In fact, Sanchez has yet to allow a passed ball in 18 career October games. Sanchez will have a chance to hush the critics this season. 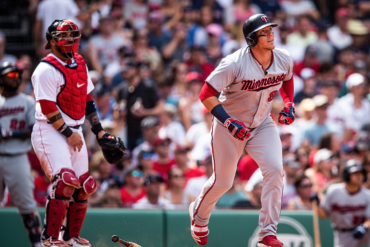 The Skinny: Offensively, Torres lived up to his preseason billing. He can hit for contact and power, and the Yankees can utilize him anywhere in the batting order. Defensively, there’s room for improvement. As a natural shortstop, Torres struggled some at second base. He has all the tools to succeed and he’s slick with the glove, but with Didi Gregorius recovering from Tommy John surgery, it’ll be interesting to see how Torres handles a significant middle infield role. With the additions of Troy Tulowitzki and DJ LeMahieu, Torres will most likely see time at both second base and shortstop in 2019. Nevertheless, an impressive rookie campaign for him. The Skinny: At the moment, LeMahieu’s role is to be determined. The signing came as a surprise, since the Yankees already have two young, promising stars who play LeMahieu’s best positions: second and third base. It looks like LeMahieu will be an infield Swiss-Army knife. He’s going to move around a lot, and that means he’ll receive plenty of playing time. Could LeMahieu end up starting at second on a regular basis? It’s possible. If Troy Tulowitzki deals with injuries once again, Gleyber Torres could move over to shortstop. Also, the Yankees could still trade Miguel Andujar, and that would leave a hole at third. This is a good problem for the Yankees to have. LeMahieu creates more infield depth, plus he’s an elite defender. The Skinny: Gardner is now 35, and it’s fair to wonder if age is catching up with him. But, the Yankees believe he can contribute to some degree — they re-signed to a one-year deal this winter — and he’ll have a chance to win the starting left field job this spring. Could he lose the Opening Day job to youngster Clint Frazier? It’s possible, but unlikely. Since Frazier missed a large chunk of 2018 due to lingering symptoms from a concussion, Gardner will probably take the job out of camp. 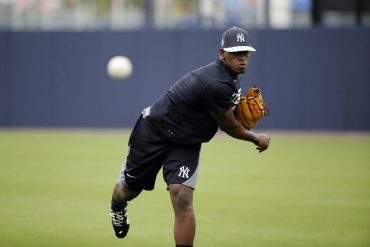 Now, will Gardner primarly serve as a starter or a platoon outfielder? Bet on the latter. The Skinny: If all goes according to plan, Tulowitzki will be the Yankees’ shortstop until Didi Gregorius returns from Tommy John surgery. His future with the club is cloudy, however, as he has to prove that his body can still handle regular playing time, a regular workload. Tulowitzki missed all of 2018 due to surgeries that removed bone spurs from both of his heels. He may have impressed the Yankees during his showcase workout in December, but who knows what he’ll offer the club in 2019. It’s a low-risk, high-reward experiment, as Tulowitzki cost the Yankees just $550,000 — the league-minimum salary. Infield depth. The Skinny: Romine saw a lot of playing time in 2018 due to Gary Sanchez’ DL stints, and to his credit, he made the most of his opportunities. Romine’s 10 homers and 42 RBI were career-highs, by a lot. He also calls a good game behind the dish, so the Yankees can’t complain about their backup catcher. He exceeded expectations. 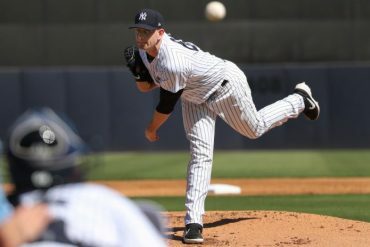 The Skinny: While Bird’s injuries and slumps have resulted in a tremendous disappointment, he will get one more shot with the Yankees this spring. If he can’t beat out Luke Voit for the first base job, the team should consider parting ways with him. The ice is very thin for Bird. The good news for the Yankees? Bird’s still young and cheap. The home run swing is there. Can he put it all together? Can he stay healthy? Time for Bird to face the music… or else. The Skinny: Remember Ellsbury? No? He dealt with a laundry list of injuries last season. Expect him to be on the DL again next year, too, in order for the Yankees to collect some insurance money on the whopping $42 million Ellsbury’s owed until 2021. Could they simply cut him? Sure. But why eat money when they can possibly get some back? Look, is there a trade partner out there? Maybe, maybe not. It’s best the Yankees send him to the storage unit. The Yankees have said that Ellsbury will have a role in 2019, but no one should count on that. In short, they don’t need him, nor do they want him. The Skinny: Frazier was limited to just 15 games last season due to lingering symptoms from a concussion he suffered during spring training. Head injuries are a major concern, and with that in mind, it’s difficult to predict what Frazier’s role will be in 2019. The good news is that he’s been cleared for baseball activities, and he’s eager to compete for a major league job. So, there’s a wide range of possibilities here. Could Frazier earn a starting outfield job? Could the concussion symptoms return? Could he spend the majority of the season blocked in the minors again? If Frazier had been healthy and productive for all of February and March last year, his future with the Yankees wouldn’t be this ambiguous. All the Yankees can do is hope Frazier returns to the fold. He’s a valuable youngster.